We are ready standing by to help when your air conditioning unit needs repair or when it’s time to get a complete air conditioning unit replacement. 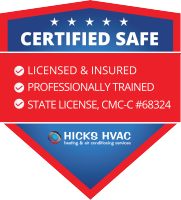 Hicks HVAC specializes in air conditioning services. For both air conditioning repair and installation, it is important to hire a contractor that has been trained and certified in comprehensive system design. 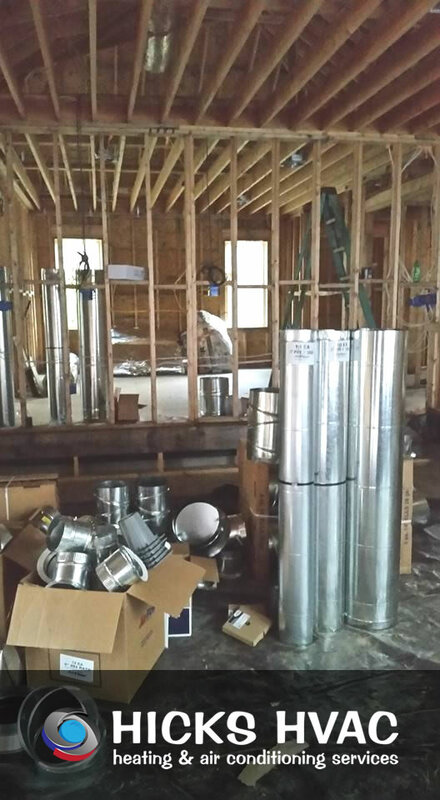 This training is critical for both new construction and retrofit applications where improperly sized equipment can result in higher utility bills, poor humidity control and inadequate air movement. 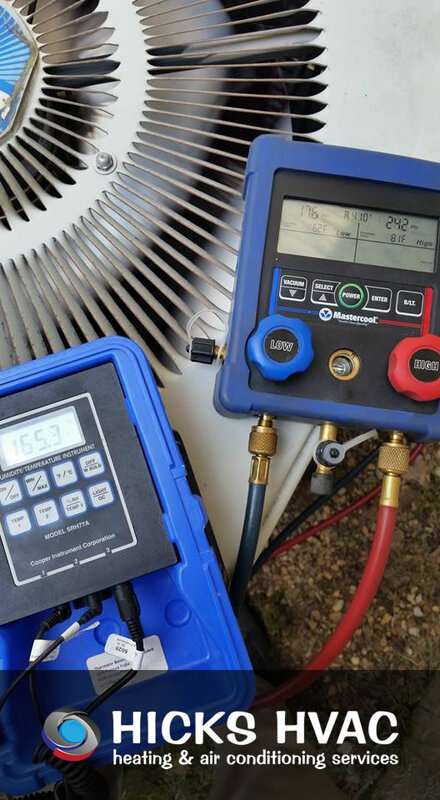 A central air conditioning system should never be replaced before running load calculations to determine the capacity requirements of the new equipment. Once the appropriate model has been selected, our professional technicians will install the system with minimal disruption to your home or office. 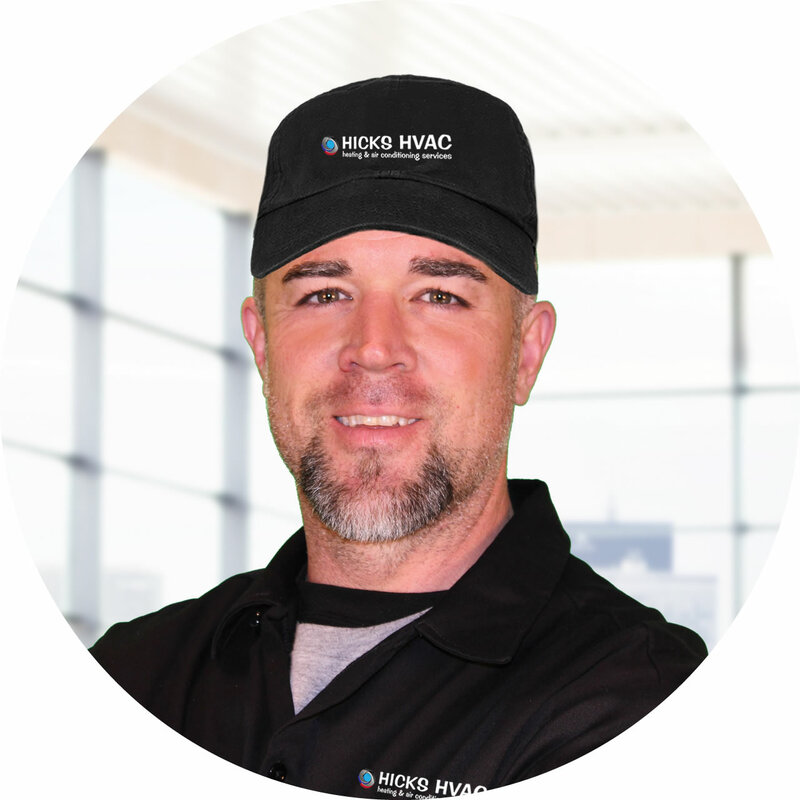 Our lead installer is NATE certified, which serves to identify his vast knowledge of HVAC mechanics and the refrigeration cycle.